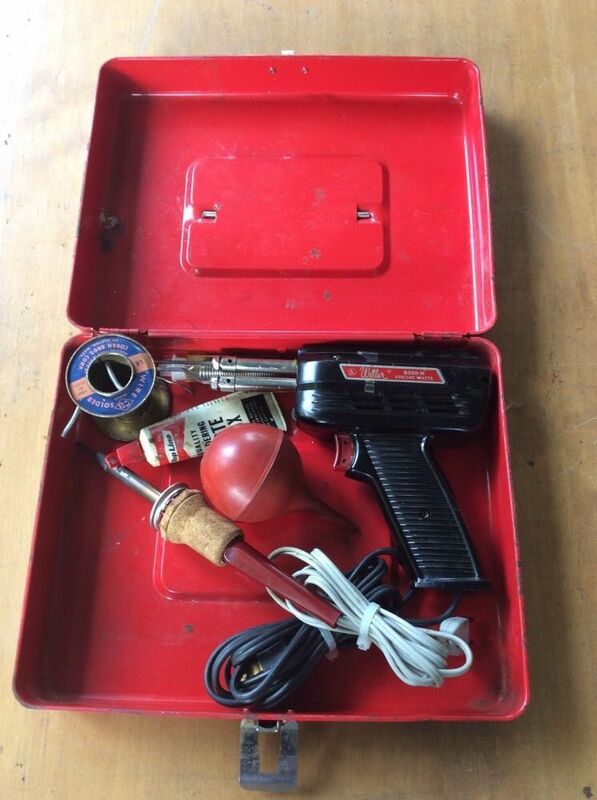 HERE IS A VERY NICE WELLER 8200 N 100140 WATT SOLDERING GUN WITH MANUAL, ACC. AND CASE. IN VERY GOOD CONDITION. Near new Weller soldering gun. Rarely used. New in sealed original manufacturers packaging. 120 volt, 260200 watts. Price is firm. WELLER D550 COPPER SOLDERING GUN TIPS (4 TIPS) ~ NEW! 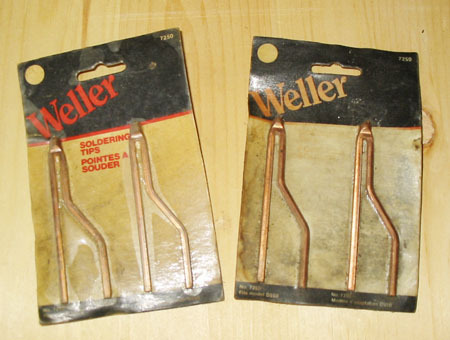 This auction is for a NEW SET of FOUR 4 ORIGINAL WELLER COPPER SOLDERING TIPS Model No. : 7250 for use with Weller Model D550 Soldering Guns please feel free to email your questions or requests for more information.